I'm back after spending the last 3 weeks in Hong Kong for Chinese New Year and the post holiday slump has well and truly hit. Combined with jet lag and catching a cold off my nieces I am so not liking being back. It was great to just relax, spend time with my family and mainly just eat lots and lots! I didn't really shop too much because the exchange rate isn't crash hot at the moment so this is probably the smallest HK haul I've done over the years. I did of course purchase a few items I've been lusting after but lately I haven't been blown away by new products so I'm mainly finishing off products in my stash which my wallet is happy about. 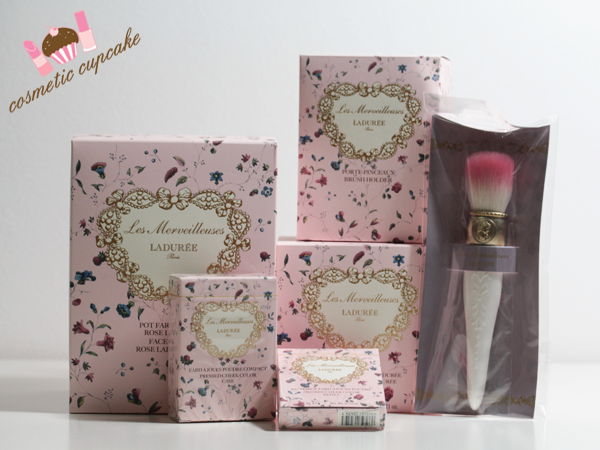 I thoroughly regretted not purchasing Les Merveilleuses Ladurée cosmetics when I was in Paris last year so when Christina told me they had launched in HK I had to rectify that immediately. I bought 2 of the blushes, the cheek brush and brush holder along with some gifts - plus an item to give away shortly too! I'll be swatching the gorgeous blushes soon too. 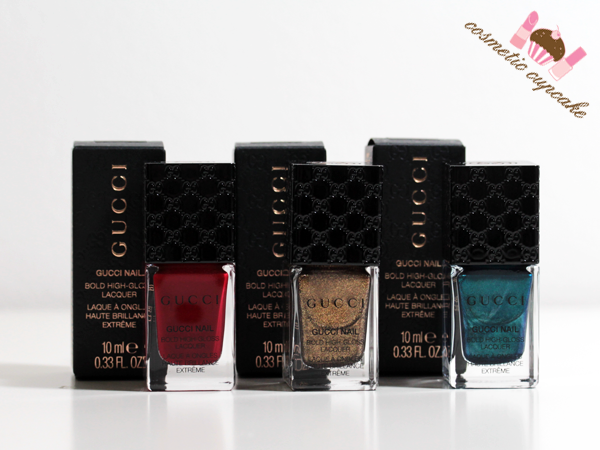 Gucci Beauty launched in HK late last year so of course the nail polishes were on my wishlist. It was hard deciding which of the shades to get so I went with some of the iconic shades - Red, Gold and Ottanio. So technically I didn't purchase these while in HK but I did bring them home with me from HK so I've included them in this post. I can never resist a good sale and the Models Own 50% off sales are pretty epic! Sadly they don't ship to Australia anymore but they do ship to HK so I got my order shipped to the in-laws and they arrived just as I got to HK. Absolutely perfect timing! 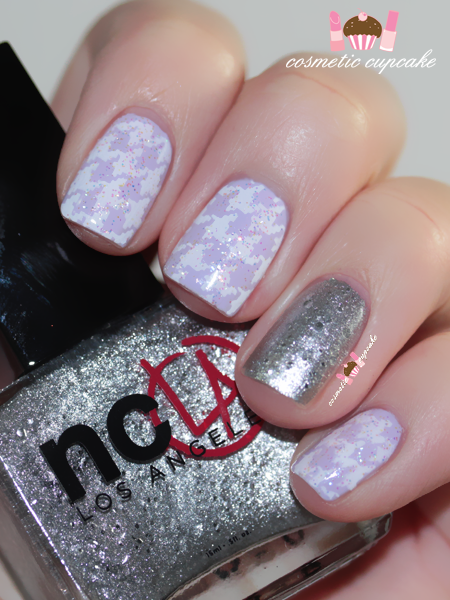 I hauled the entire Colour Chrome collection which are perfect for stamping. The Dolly Wink mascaras are my Holy Grail so I stocked up on a few to last until my next trip. 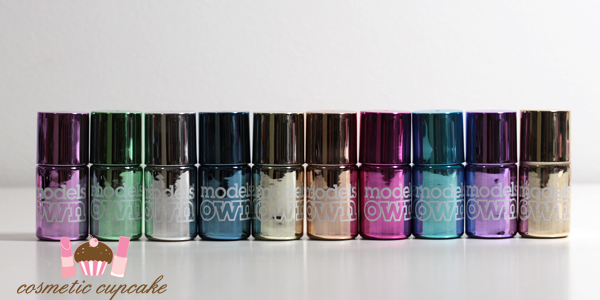 They've been my favourite for the last few years and they don't budge on my oily lids. My first Ferragamo piece! I've been after a small coin purse for my Chanel wallet on chain and the Vara bow coin case in Macaron is so sweet and exactly what I was after. It fits neatly into my wallet too! I also bought a few phone cases for my new iphone 6 and a replacement Longchamp bag but that's it for this year! Very tame compared to previous years haha. What have you guys hauled lately? Thanks for looking as always! 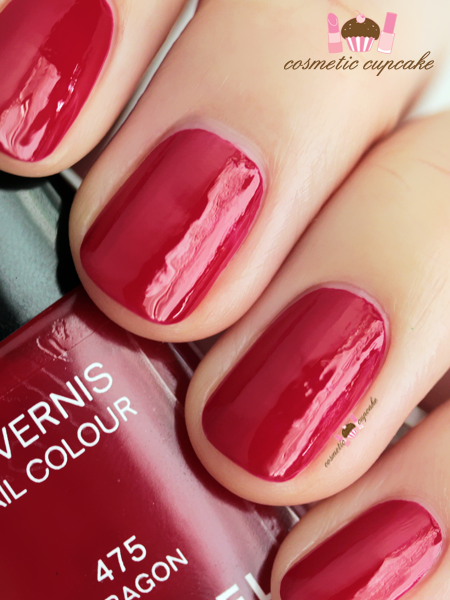 There are some shades that every lacquer collection needs and one of those is a classic red creme. It's chic and for me instantly boosts my confidence by adding that final touch to any outfit. Because red is a classic shade, it's worth investing in one that has a great formula and Chanel Dragon is my luxe pick that doesn't totally break the budget like the breathtaking Christian Louboutin Rouge. Plus it is perfect for Valentines Day which is just around the corner! 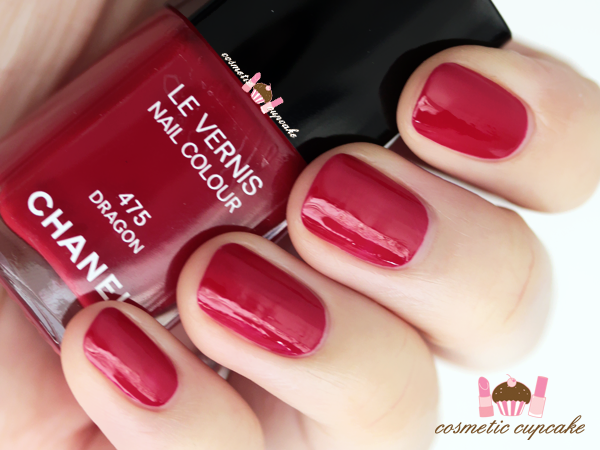 Dragon is an amazingly opaque and intense red creme that leans slightly cherry so it's an extremely wearable red for those that aren't used to wearing such a vibrant colour. It's fully opaque in one single flawless coat and the self leveling formula dries quickly to a glossy shine. Heaven in a bottle! 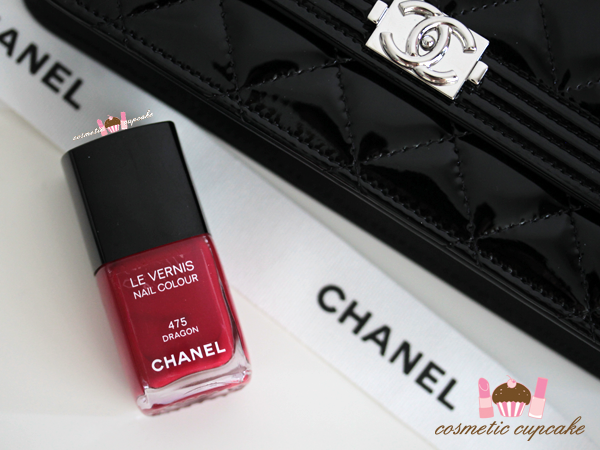 I've yet to come across a Chanel lacquer that I haven't loved especially when their formulas are this amazing. Pictured is one coat topped off with a coat of Cult Nails Wicked Fast top coat and this combination wore extremely well for me. 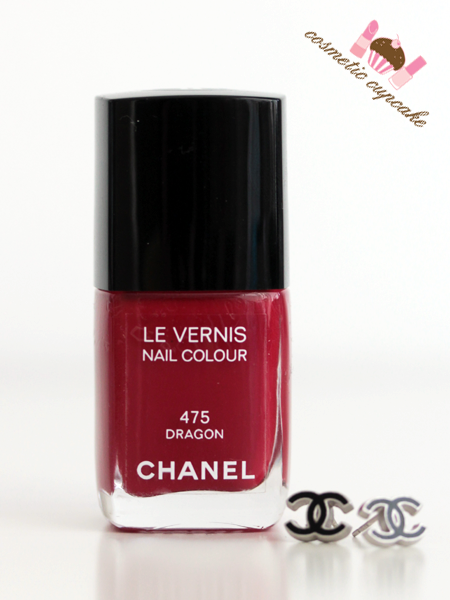 Details: Chanel Dragon is available from Myer and David Jones stores and online for $39. I'm currently in Hong Kong at the moment so I'll only be posting every so often! Make sure to follow me on Instagram or Facebook - I post lots of beauty and food updates! ;) I'm also trying this rounded shape for now as I've had a few breakages recently. What do you think of it? 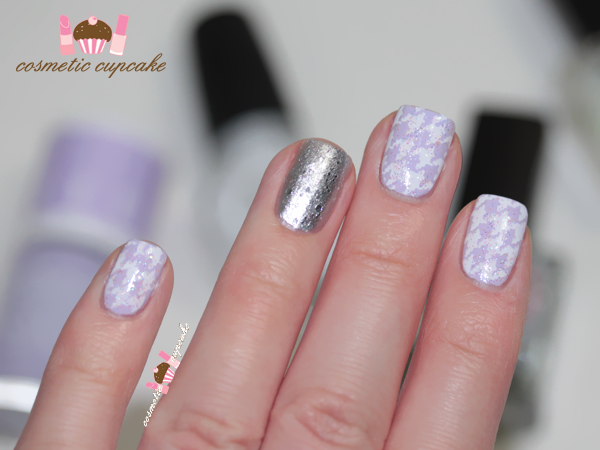 I've been stamping my nails since about early 2011 but I've never actually done a houndstooth manicure before can you believe?! I thought it was about time to rectify that but I went with something different from the usual black and white. 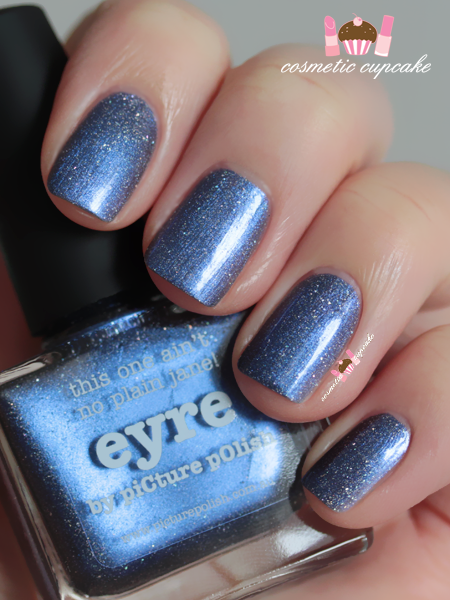 Please excuse my crappy photos in this post though - I really need to get my artificial lighting situation sorted so I don't have to wait for daylight to swatch and take NOTD photos. I applied 2 coats of Models Own HyperGel Lilac Sheen on all fingers except my ring finger where I used 2 coats of NCLA Elegantly Punk. 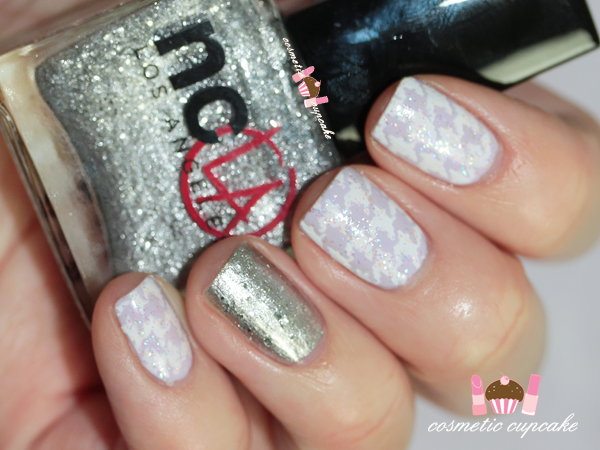 I stamped houndstooth design from Moyou London Pro plate 07 using Konad Special polish in white and then topped them off with a coat of NCLA Party Favourite. I'm off to Hong Kong at the end of this week so my upcoming posts will be light on words. 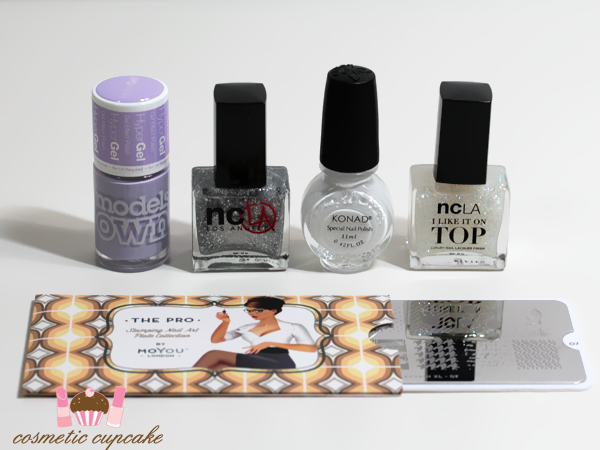 I have a huge backlog of polishes to swatch and I'm VEEEEEERY slowly getting through them all! 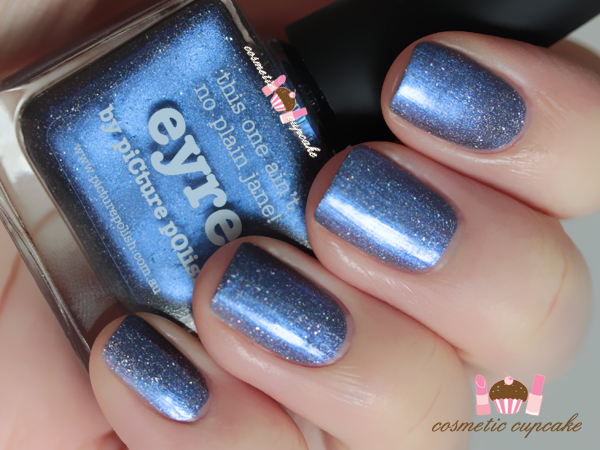 I have piCture pOlish Eyre today which is a metallic blue scatter chrome holo. 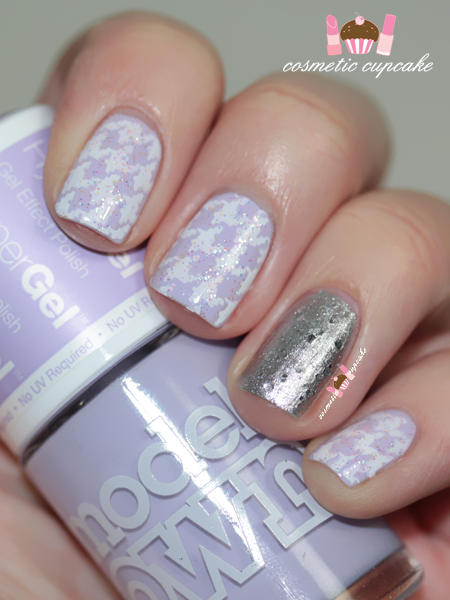 It applied well and 2 coats is pictured with no top coat. 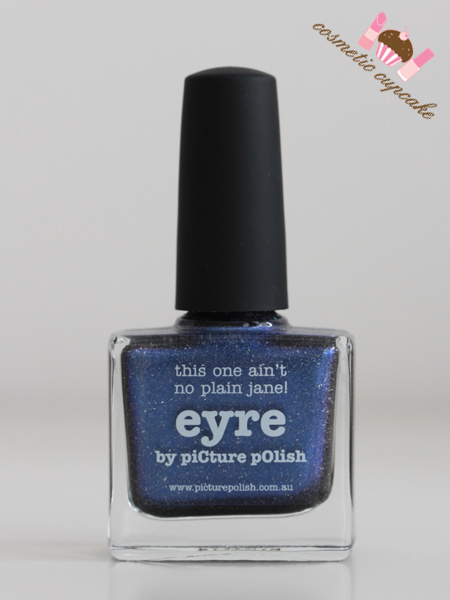 Details: piCture pOlish Eyre is available from the piCture pOlish online store and Network members for $13.